If you are looking for information on the USA Subs franchise business opportunity, USA Sub franchises or USA Subs franchising , then you have come to the right place. The Home of the Steak Bomb! hot subs, cold subs, and much more! You can own your very own USA Subs restaurant! With an on-going commitment to being an innovative leader in the fastest growing segment of the quick-service restaurant industry and a recent update of its company brand complete with new logos, website, advertising, menu additions, marketing ideas, and store design, USA Subs in positioned to enter all markets with its Franchising Opportunities for qualified candidates. USA Subs offers a low financial investment, simplified business system with thorough Operations Manuals, on-going assistance and support, and a product that appeals to families and creates repeat business. We've Got it All! 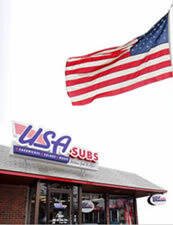 Opening your own USA Subs franchise will help you and your family live out your own American Dream! American Dream Franchising, LLC currently seeks hard-working and highly motivated individuals and families to open up their own USA Subs restaurant. Strong focus on food quality and customer service. Motivated and willing to operate the business with a hands-on approach. We need people with restaurant, customer service or retail experience. USA Subs will typically require all franchisees to participate in the day-to-day activities of the business on a full-time basis. System Usage - You will have continued access to our experience and knowledge as well as our business system and delicious recipes. Brand Usage - You will have the right to operate your restaurant under the name USA Subs, which is the primary mark used to identify our system. Training Program - We provide you with an initial training program that covers material aspects of the operation of the franchised restaurant. This training is offered at our headquarters or other designated locations over an approximate six-week period. Ongoing Operational Support - You will receive on-site visits from our expert consultants and continued access to American Dream Franchising, LLC via phone or e-mail. We will keep you updated on any changes or new products through phone calls, meetings, e-mails, and newsletters. Marketing/Advertising Assistance - We will assist you in marketing and advertising programs geared towards introducing your USA Subs restaurant into your local market and increasing your overall store sales. This includes in-shop promotions, cross marketing promotions, and newspaper inserts, as well as local cooperative advertising. 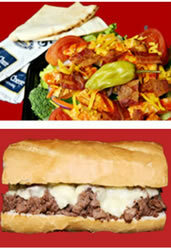 Research & Development - USA Subs restaurants feature a very competitive menu. We recognize that as current and future menu trends change, we must also change. We are always working on providing new products and menu offerings to our loyal customer base. Computer/Point-of-Sale-System - Our state-of-the-art POS System features software that allows you to track daily receipts and items sold related to your restaurant. In addition, your payroll procedure and record keeping methods will be simplified. This POS System will allow your customers to pay with the following methods: cash, credit, debit, and USA Subs re-loadable gift card.